South coast, Inc., is a full-service general contracting company based in Southern California. 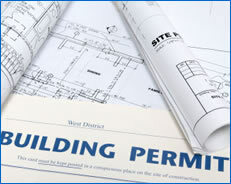 We provide full architectural and engineering design services as well as permit administration. We are experienced in all aspects of general construction as well as being fully skilled in concrete, steel, masonry and wood frame construction and where practical we do the work with our own staff. Our knowledge of the current building codes makes us an accomplished builder of all different types of construction, including; industrial, commercial, retail, research & development, hospitals, biotech, high tech, entertainment, food service as well as high-end private residences.